Home / Lipa / Commercial Airport at FAB Lipa City, Seriously! Commercial Airport at FAB Lipa City, Seriously! There was talk about this as far back as the nineties; but I honestly thought the idea was well and truly dead and buried. 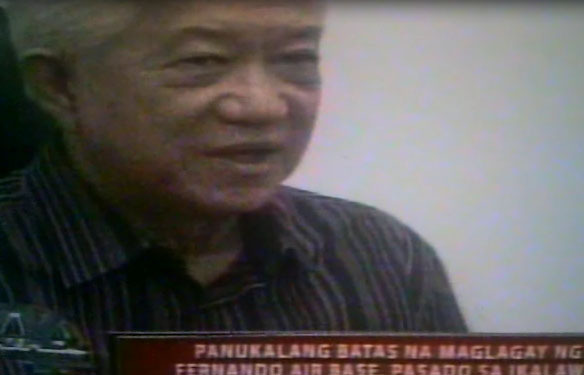 Until yesterday, in the Regional TV Patrol, there was Batangas District 2 Representative Hermilando ‘Dodo’ Mandanas talking about this obscure little House Bill 4176 which he apparently authored that calls for the conversion of Fernando Air Base in Lipa City into a ‘dual use’ airport. In a nutshell, part of Fernando Air Base is to be turned into an auxiliary facility to the Ninoy Aquino International Airport or NAIA where private and regional flights can be diverted to. The land will remain the property of the Air Force; but part of it will be put to other ‘productive’ uses as stipulated by the Bases Conversion and Development Authority. According to the report, the NAIA now averages 44-50 take-offs every hour and this should be no more than 36. I am not sure about this, however. The economic benefits not only to the city of Lipa but overall to the province of Batangas are obvious. On the other hand, I have my own misgivings. The United States Code of Federal Regulations prescribes 120 take-offs and landings for air carriers, 25 for commuter planes and 10 for other aircraft per hour for Chicago’s O’Hare International Airport. O’Hare is considered a high-density airport. In 2010, the airport ranked number two worldwide in the list of the busiest airports, with a total volume of 882,617 take-offs and landings. Now, finding statistics for the NAIA is not necessarily an easy thing; but one report says that in 2011, NAIA logged a mere 22,400 take-offs and landings. Go figure the HUGE difference! In short, NAIA is not at all what you will call a high-density airport. That said, the problem may be in that the airport has only one runway for international flights and another for domestic ones. I do not know if any more runways can be added because the airport is relatively boxed-in by surrounding properties. The Department of National Defence, expectedly, opposed the bill on grounds that the conversion will have effects not only on the schooling of military pilots but also on base security and operations. Mandanas defended the bill by saying that Villamor Air Base in Pasay City is actually already operating under such conditions. The implicit statement here is that there has been no apparent disruption to operations or explicit threat to base security. 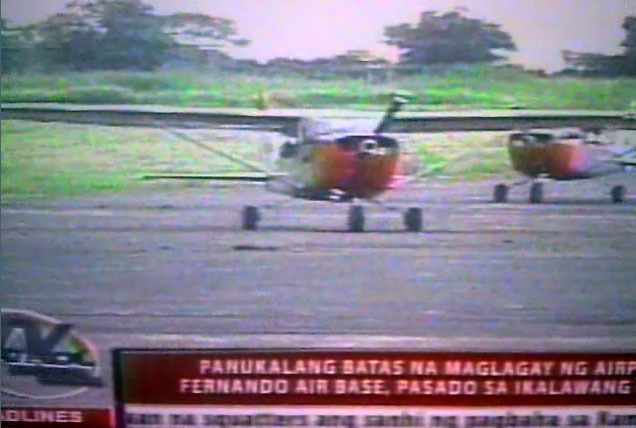 If Senate passes the bill and it is signed by the President, runways at Fernando Air Base will have to be extended to accommodate larger planes. The way I understand things as they stand, the runways can currently only accommodate light planes; and that is because the base is home to the training wing of the Air Force. Airport facilities will, naturally, also have to be built to accommodate passenger embarkation and disembarkation. I can imagine that the subsequent growth and development – or disruption, depending on one’s point of view – will be immediately north of the base. This will mean to the tiny municipality of Mataas-na-Kahoy or the small village of San Salvador, which is still part of Lipa. I think what is meant by ‘regional’ flights as compared to ‘domestic’ are those from the Philippines to neighbouring countries like Indonesia, Singapore, Thailand, Korea Japan and China. I think these routes are serviced by the larger A330 or B-757 aircraft. 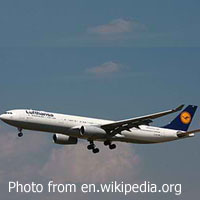 Even domestic flights are serviced by A320, A319 or B-737 jets. On the one hand, there will be novelty in seeing passenger jets hovering above the city. On the other hand, where I live is almost in line with the base’s main runway; and trainer planes flying close above after take-off is something that I do not even pay attention to. But a B-757 taking off? God knows one hears of crashes often enough soon after take-off or close to landing. Barring these obvious risks, dang! There go peaceful nights fast asleep!